Tiggy! 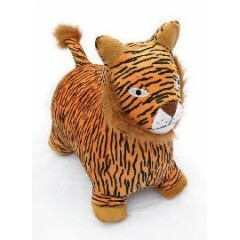 The Wildest Tiger Toy for Tiny Tots! If you've got a little kid who likes to go wild big time, Tiggy is the ride on tiger toy to keep your toddler or pre-school kid busy! Like all Zoobas, Tiggy will help burn off that wild little kid energy, while helping to develop strong muscles, coordination and improve balance. And, he's the most fun toy tiger you'll ever meet! Zooba is all about wild fun and is made with quality, soft materials for safe bouncing for pre-school kids up to 60kg! Like all ride on and inflatable toys, always use Tiggy and his friends in the Zooba Zoo under close parental supervision. Why not get Tiggy a friend too? 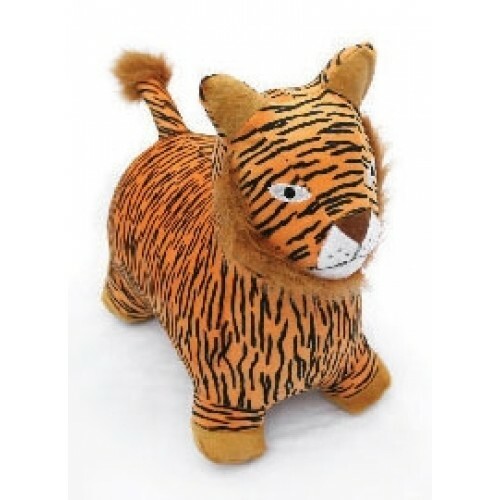 Bentley and Tiggy are the toy tigers as inseparable as your kids! There's also bouncy toy pigs, toy elephants, dogs and lots of other friends at the Zooba Zoo! Tiggy the ride on toy tiger is all about wild times for kids.